If you place an order for more than the current stock quantity, we will ship all available stock today and complete your order with a second delivery. There is no extra delivery charge for this. Our eco-score system scores products from 1 to 5 based upon the following criteria. - Is the product made from sustainable materials? - Is the product carbon and climate neutral? - Can the product be 100% recycled? - Will the product biodegrade naturally? - Is the product multi-use or reusable? You can find out more about our eco-scores here. 100 sheet packs of integrated label sheets that are used with eBay Selling Manager, Selling Manager Pro and PayPal print output. Users of these platforms save time by having the address label, invoice and despatch note print straight from the software onto one sheet. 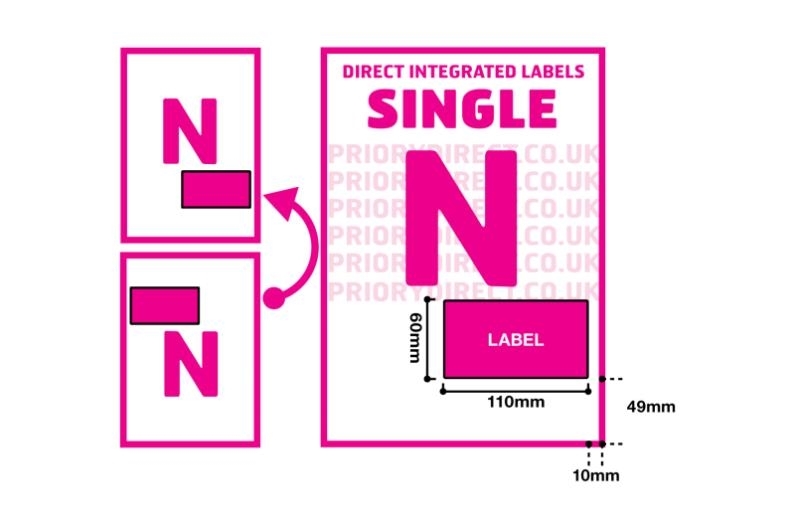 The single label per sheet is used as the delivery address label, it measures 110mm wide and 60mm deep and is positioned 10mm from the right and 49mm from the foot of the sheet. 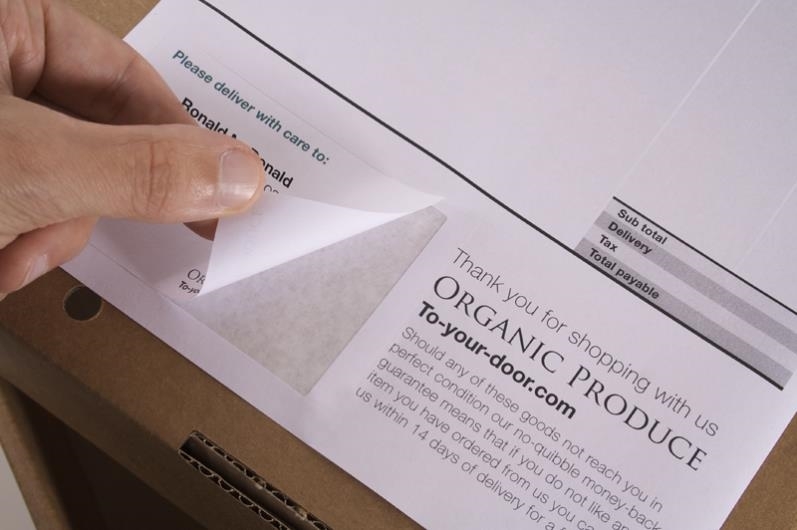 These high quality sheets are made from 90gsm smooth white paper and the label adhesive is designed to ensure they stick to most surfaces in all conditions. 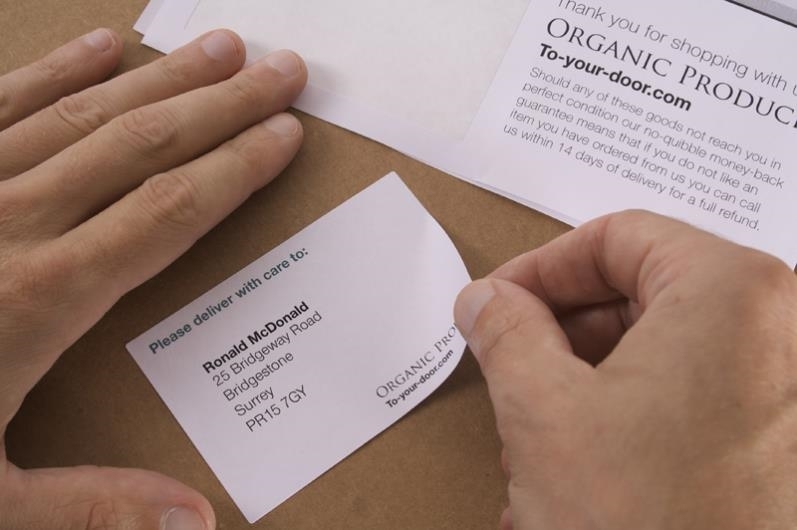 We manufacture bespoke labels, packaging and printed items for many of our customers to optimise their customer experience and increase their despatch efficiency. We advise and supply a handful of UK and Europe’s top retailers along with thousands of smaller online sellers and are happy to share our knowledge with you. So please get in touch below and we’ll do all we can to ensure you get the best solution for your needs. Setting up a large operation? Enquire today For bulk discounts And expert advice. Top tip: All products across the website contribute to your discount rate. How?